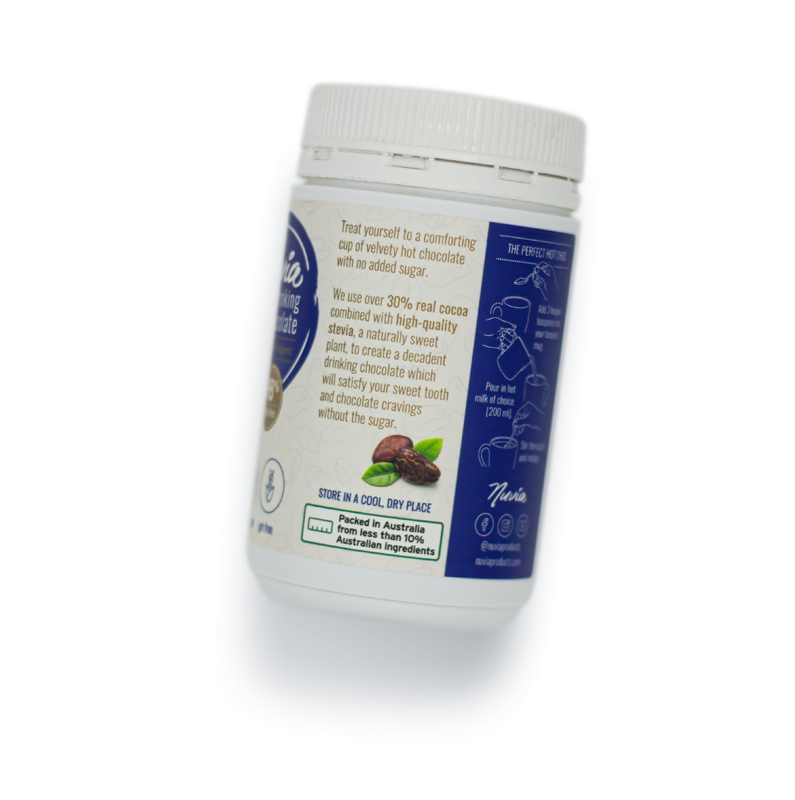 Our 200 g jar has been designed for easy use at home. 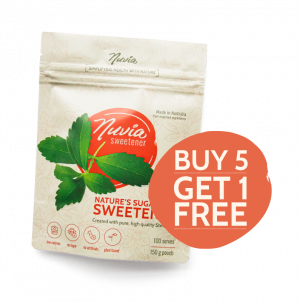 Just add 3 heaped teaspoons into your favourite mug, pour in hot milk of choice, stir thoroughly and indulge. 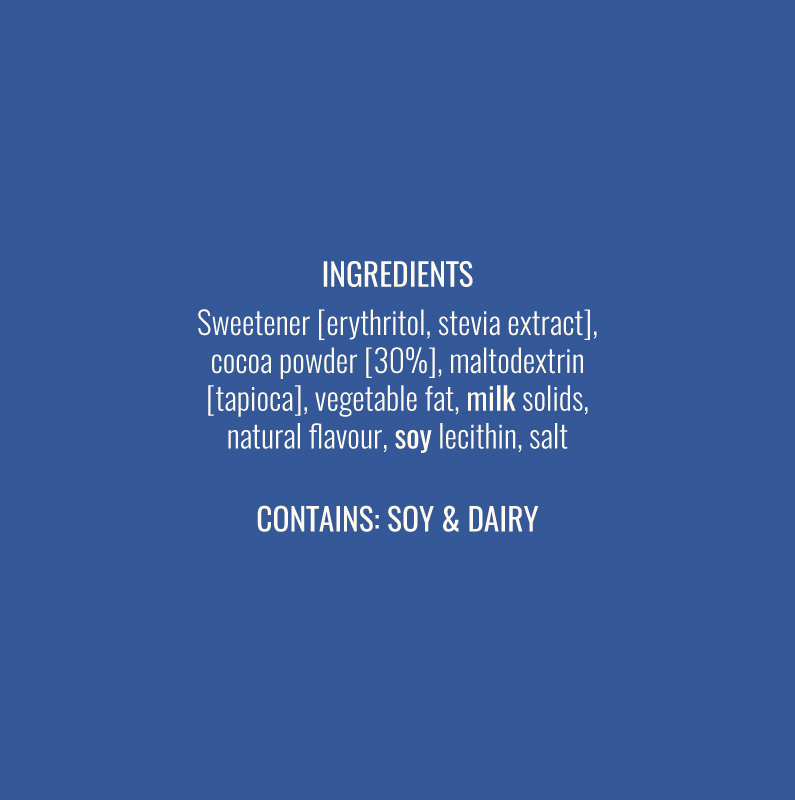 Treat yourself to a comforting cup of velvety hot chocolate with no added sugar. 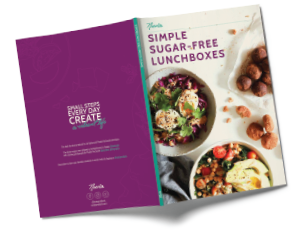 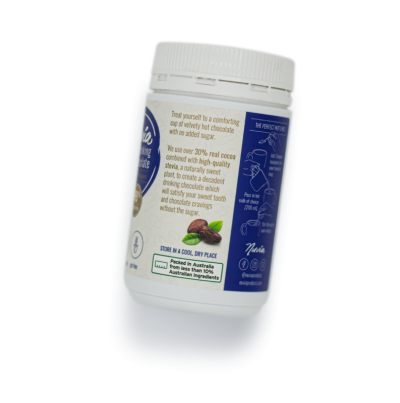 We use over 30% real cocoa combined with high-quality stevia, a naturally sweet plant, to create a decadent drinking chocolate which will satisfy your sweet tooth and chocolate cravings without the sugar. 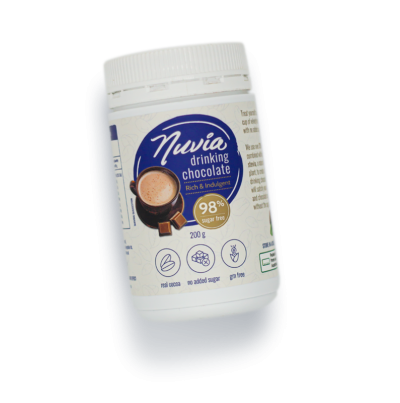 Nuvia Drinking Chocolate is made with 30% real cocoa. 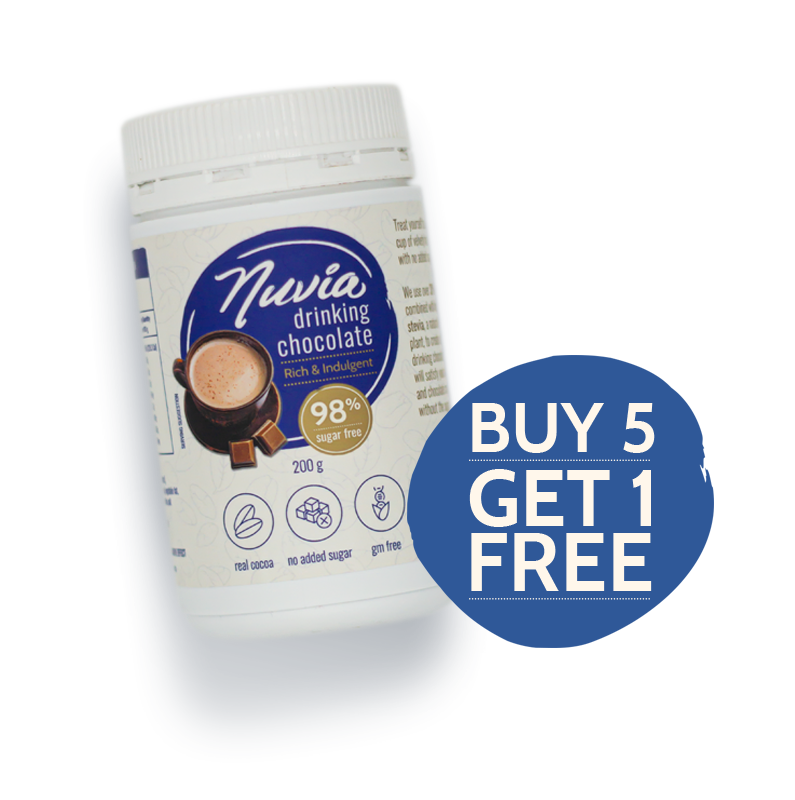 Nuvia Drinking Chocolate is completely sugar free and won’t affect blood glucose levels making it suitable for diabetics. 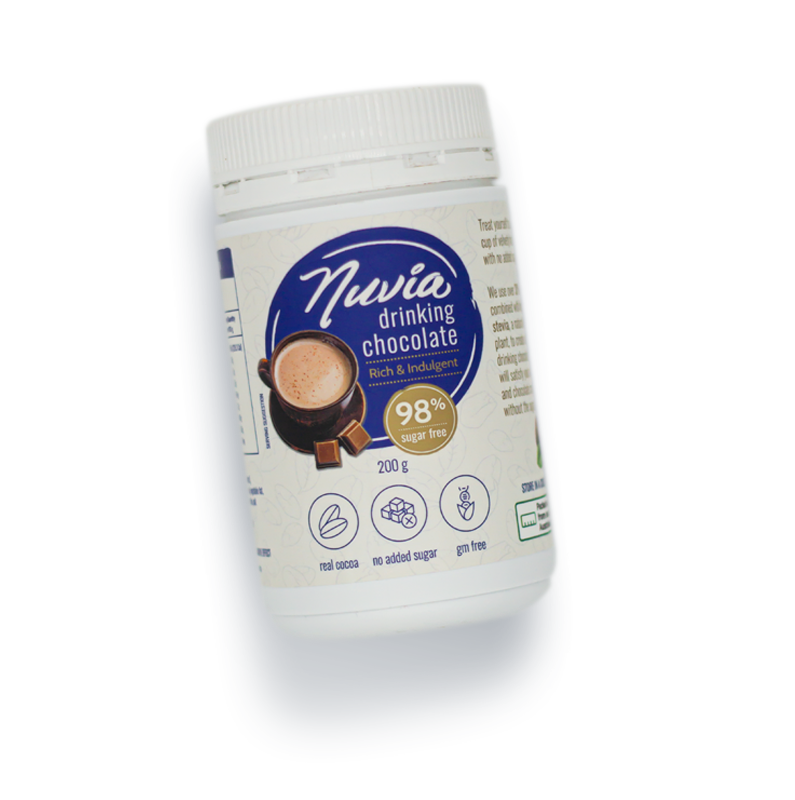 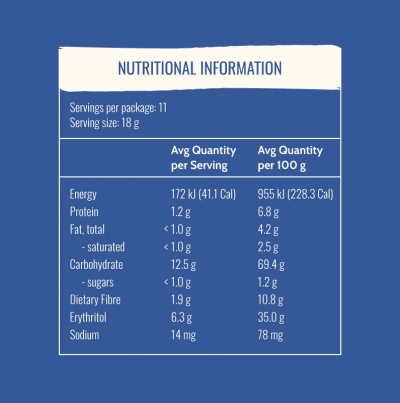 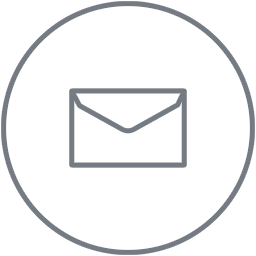 Nuvia Drinking Chocolate is free from genetically modified ingredients and artificial sweeteners. 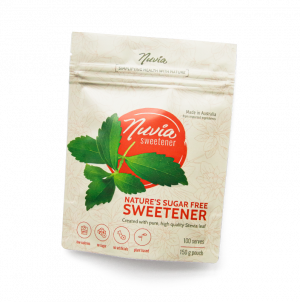 I am really delighted with the taste of this product. 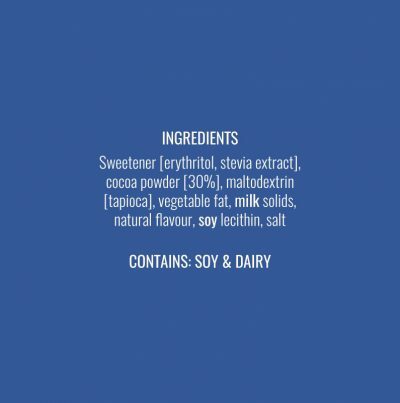 It is nice to be able to enjoy something as simple as a hot chocolate without feeling guilty. I received my order extremely quickly.